ASAHI IGNITES ENDLESS POSSIBILITIES FOR CONSUMERS !! (In the middle from left) Henrik Juel Andersen, Managing Director of Carlsberg Malaysia and Kenny Lim, Marketing Manager, Premium Brands of Carlsberg Malaysia, together with Asahi’s Brand Ambassadors ready to ignite endless possibilities at Asahi’s 2015 Campaign Launch. Japan’s No.1 premium beer, Asahi Super Dry is set to continuously ignite possibilities by bringing different elements together to create a greater experience for consumers. At the launch party at The Roof, staying true to the brand’s DNA of igniting limitless possibilities, Asahi unveiled the Igniter, an interactive gaming device designed for the campaign to bring more enigmatic experiences to fans by offering attractive prizes worth up to RM 300,000 like gadgets, trips to Japan, cash prizes and Asahi merchandize. The Igniter will be roving into various key market squares nationwide, as Asahi “ignites possibilities” for fans and consumers. Besides the Igniter, fans of Asahi were treated to “Asahi Bar Challenge” for a chance to win RM 10,000 in cash. 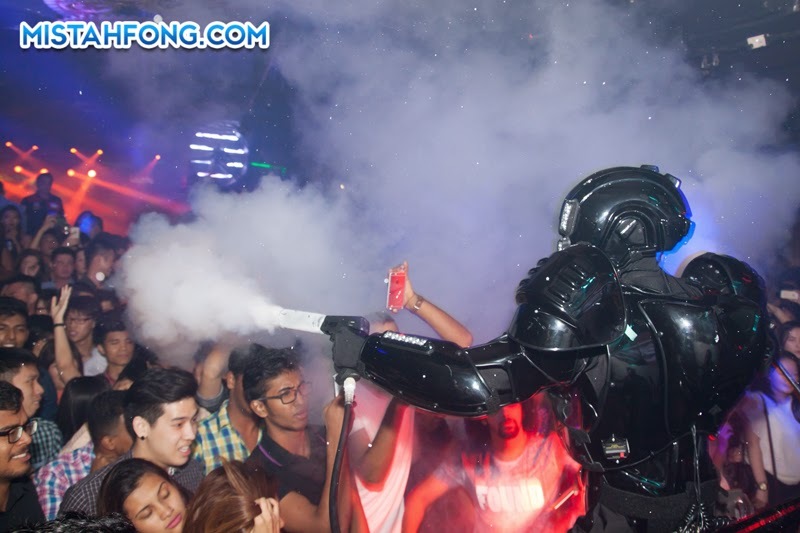 Staying true to the brand’s DNA of igniting possibilities, Asahi heightened the consumer experience, surprising fans of the brew with Kyroman dressed in his signature robot suit, complete with LED lights, smoke guns and pryrotechnic special FX systems. (L) Asahi Igniter, an interactive game box that will ignite exciting & sought after prizes to Asahi drinkers & (R) Asahi Bar Challenge gave fans of the brew a chance to win awesome prizes! Asahi gave its 800 guests a glimpse of what to expect this year by introducing an array of entertaining experiences with a creative music mash-up of DJ Mr. Fluff spinning alongside a saxophonist and a vocalist, as well as the appearance of Kyroman, who took the centre stage dressed in his signature robot suit, complete with LED lights, smoke guns and pryrotechnic special FX systems. “Asahi has a distinctive taste thanks to the unique Japanese brewing technique known as Karakuchi, which produces the clean, crisp and refreshing with no bitter after taste that has become the signature of Asahi beers. The uniqueness of Asahi beers is a reflection of the brand’s advancement, leveraging on technologies in its brewing process. Similarly, Asahi is constantly striving to ignite possibilities for its consumers, moving into unique frontiers to excite its consumers,” said Henrik Juel Andersen, Managing Director of Carlsberg Malaysia. Guests unlocking their imagination for a night filled with raw energy and excitement. 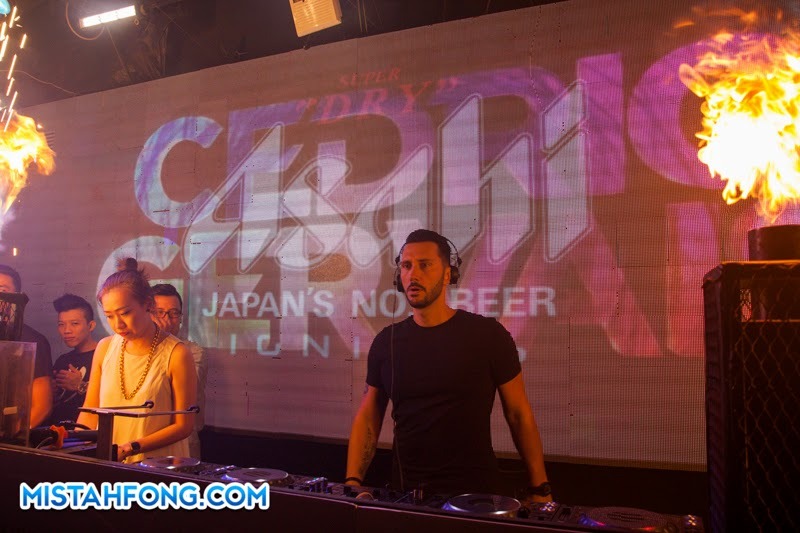 In conjunction with the campaign launch, Asahi also brought well known Grammy Award winning French DJ Cédric Gervais, known for his new hit single “Love Again” and platinum-selling remix of Lana Del Rey’s “Summertime Sadness”, who gave a stellar performance for music lovers. 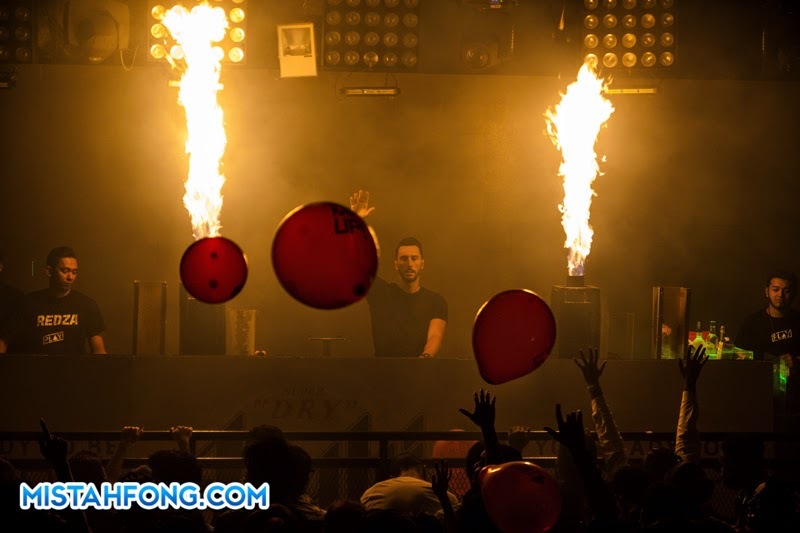 He set the mood for the crowd and hypnotized ecstatic fans with some steady percussion, and building to blistering heights. 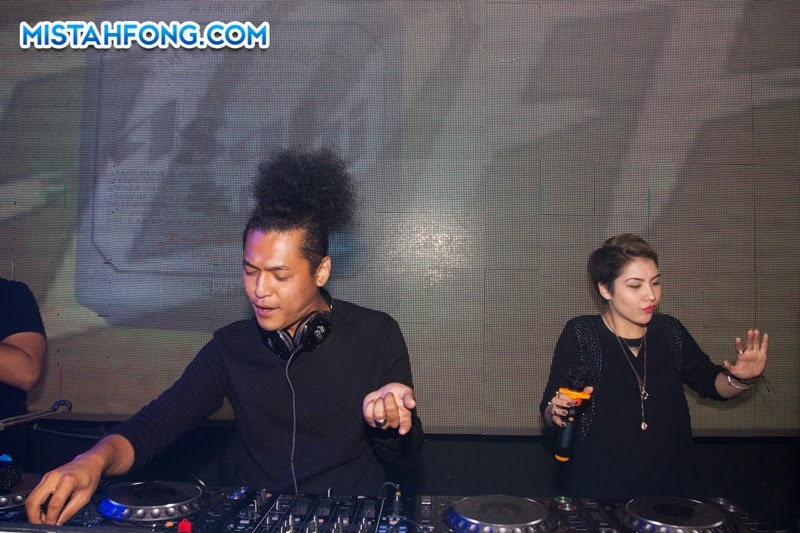 It was an infectious night filled with positive vibes for music lovers with Asahi in their hands as Gervais made good on fulfilling the promise of that first crescendo, following it up with some rave-tastic synch storms. 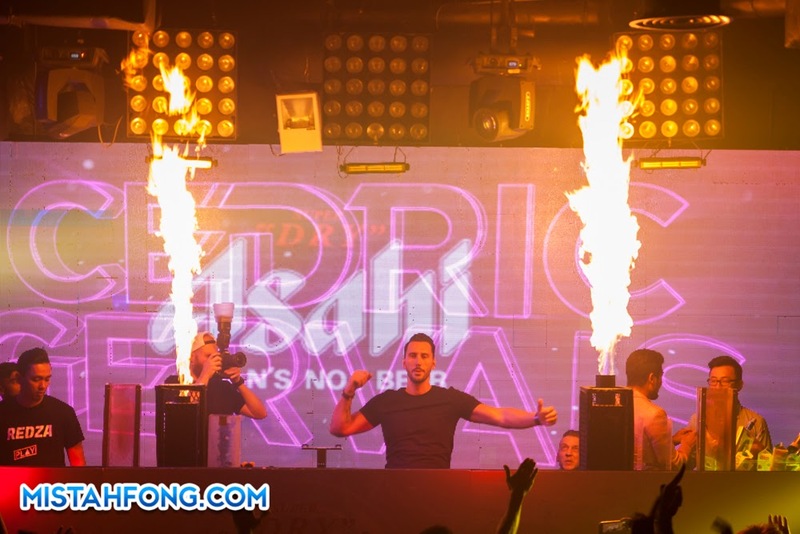 Cedric Gervais, one of the most recognisable international DJs, elevating the music scene in Malaysia at Asahi’s Igniting Possibilities Campaign Launch. Asahi will also continue to grow its base in the soft darts platform by sponsoring various darts competitions and spearheading the brand’s very own Asahi National League. The “Running Bull Challenge” that is currently roving into outlets across Peninsular Malaysia will entice more fans of the brew into the world of darting as it promises RM 20,000 in cash prizes to be won. In line with advancement of technology, Asahi will be giving away a Bluetooth speaker with every purchase of Asahi Tower from 1 May till 30 June 2015 at participating outlets. Asahi is also offering RM4 off for every purchase of Two big Asahi bottles at coffee shops, hawker centres and food court from 1 April to 31 May 2015. In addition, the Asahi Live mobile truck, a live band that would perform on the stage of the mobile truck to entertain patrons of the outlet, will also be roving into 60 outlets across Peninsular Malaysia from 23 March to 31 May 2015.